YOU THINK YOU HAVE A DATA RECOVERY PROBLEM? 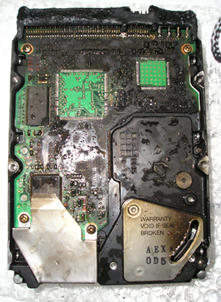 Hard Drive failure, Virus attack, Equipment failure, accidental deletion, power surge are some of the many causes of data loss. We can in most cases retrieve many of your precious photos, documents and other data. For extreme cases of Hard Drive failure, as an Ontrack Data Recovery Service Partner, I can thoroughly recommend the Professionalism and Expertise of Ontrack to RECOVER THE MAXIMUM amount of your lost data whatever medium it was stored on. Call us for further advice but don't waste your valuable time risking further damage to your precious data or click the link below for a FREE QUOTE from ONTRACK.